Dynamic look, perfect functionality, maximum safety - united in the latest generation of ESKADRON Flexisoft tendon boots. The model series with the triple adjustable elastic bands. 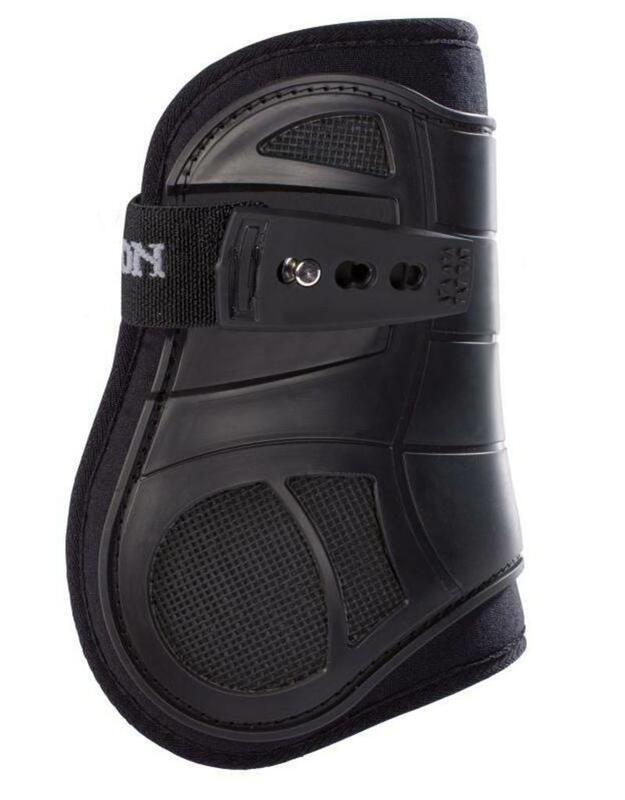 The revolutionary tendon protector from ESKADRON using breathable neoprene with air holes for an optimal body climate and great wearing comfort on the horse leg. Air ducts protected with grilles ensure ideal air circulation. In addition, the rimmed neoprene supports the optimal shock absorption of the leg cap.